Jem was awarded International Skyrise Greenery Excellence Award for its extensive green replacement strategy and innovative use of skyrise greenery to foster community life. The design achieves a green plot ratio of 4.0 through a garden façade that cascades like a green waterfall all the way down to the ground level. The cascading sky terraces serve as the building’s ecological and communal heart. Accessible to office occupiers and the community at large, this terraced interstitial space promotes interaction and relaxation at the parks and play areas, contains a bio-diversity education corner and offers optimistic energy and visual repose for office occupiers looking down from the office towers. Launched in 2008 to promote greening efforts in urban developments and to recognise architects leading green design. 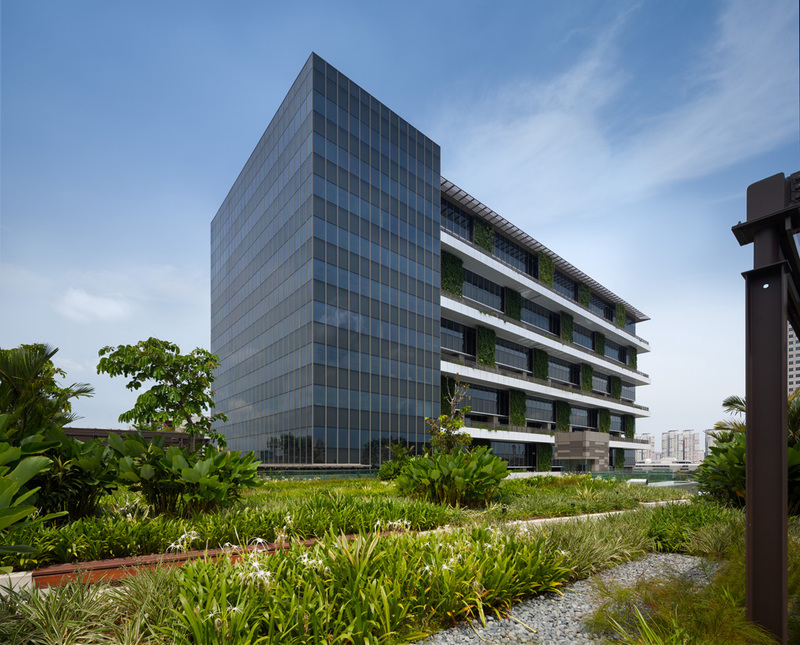 It encourages innovative use of greenery and landscaping to create a positive environment to live, work and play in.